The Scottish Football Association are looking for a new manager. Paul Pogba and David De Gea have been linked with moves away from the club. John Murtagh and Marcel Bout are both under consideration to become Manchester United's new director of football, according to a report. Manchester United could seemingly land Real Madrid's Toni Kroos this summer, with the odds on the move being shortened. Former Manchester United boss David Moyes insists that the Red Devils can overcome Barcelona in the quarter-finals of the Champions League. David Wagner among candidates for Leicester City job? David Wagner is reportedly being considered for the Leicester City job, a month on from leaving Premier League strugglers Huddersfield Town. Manchester United paid Jose Mourinho a compensation fee of £19.6m when they sacked the Portuguese manager in December. Club legend Peter Schmeichel says that Manchester United should not have not sacked David Moyes less than a year after his appointment. A guide to travel, places to park and places to drink for Manchester United fans travelling to Saturday afternoon's Premier League game with Fulham at Craven Cottage. Sam Allardyce and David Moyes are the early favourites to replace David Wagner. There is a Championship vacancy in the Potteries following Rowett's departure. Manchester United manager Jose Mourinho is reportedly confident that there is a job for him at Real Madrid should he be forced out of Old Trafford. Former Manchester United captain Gary Neville insists that he still has faith in Jose Mourinho and believes that the team's form could be down to structural issues. Southampton will reportedly sack under-fire manager Mark Hughes if they fail to beat Watford at St Mary's on Saturday. Former Manchester United manager David Moyes is installed as the favourite to replace the sacked Steve Bruce as Aston Villa boss. David Moyes says that he would be interested in managing either side of the Old Firm divide, but returning to the Premier League remains his priority. 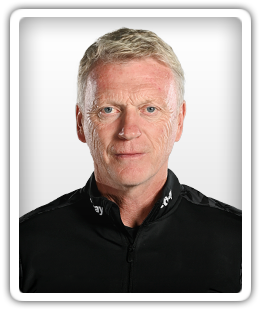 Nantes consider move for David Moyes? Nantes are reportedly considering an approach for former Manchester United and West Ham United manager David Moyes. Sports Mole provides predicted lineups, team news and a full match preview of Manchester United's EFL Cup third-round tie against Derby County. West Ham United would reportedly face a compensation package of almost £15m if they were to sack manager Manuel Pellegrini following the club's poor start to the season. Former Manchester United captain Gary Neville urges the club to keep faith with under-fire manager Jose Mourinho following the 3-0 home defeat to Tottenham Hotspur. Former Manchester United boss David Moyes backs the Red Devils to be top of the Premier League at the end of November. West Ham United striker Javier Hernandez says that his side can finish in the Premier League's top four this season. Middlesbrough confirm that West Ham United striker Jordan Hugill has joined the club on loan for the season. West Ham United boss Manuel Pellegrini hints that more players could arrive at the London Stadium this summer. David Moyes claims that Jordan Pickford "would be stupid" to consider leaving Everton this summer, amid rumours of Bayern Munich showing an interest. David Moyes says that Everton goalkeeper Jordan Pickford is England's best option between the sticks for the remainder of the World Cup. West Ham United midfielder Pedro Obiang is believed to be a transfer target for Serie A giants Fiorentina. West Ham United leading chase for Anderlecht captain Leander Dendoncker? West Ham United are reportedly in pole position to sign Anderlecht midfielder Leander Dendoncker this summer.